Microsoft will not call you or ask you to call them! I thought everyone knew about this but after two more people in as many days have had their computers hacked and locked up, it seems that many are still not aware of this. Microsoft will not call you or ask you to call them! It is a scam. The two people mentioned above have given out their credit card information and each lost hundreds of dollars due to this scam. Plus now have to cancel the credit cards and still have a computer that doesn’t work. If you don’t know – it usually begins with a pop up screen while you are looking at a page on a web site. The message is intended to scare you into calling a number to speak with a Microsoft Representative. Once they show you a bunch of fake pages on various web sites to convince you that you have hundreds of bad files and virus/trojan infections – they will volunteer to clean your PC over a Remote Access connection. This is where you allow the access to your PC; they can see your screen and move your mouse and keyboard. We use this type of program daily to legitimately fix computers for our clients. It is a great tool but these people are using it to scam you. The entire scam is to get your credit card information. 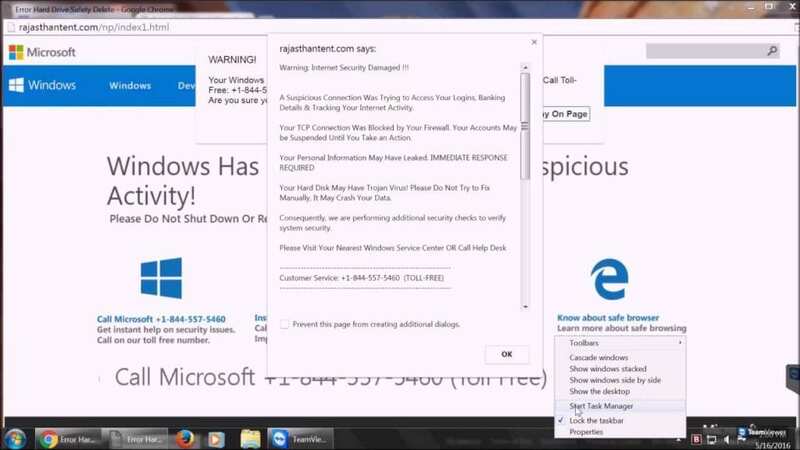 The call usually ends with the “fake tech rep” using a real (little known) Windows security feature called Syskey – to encrypt your computer with a password. Once that is done you can no longer open your computer unless you can guess the password. This can be fixed but it is not easy and sometimes requires that the computer be reset back to factory (like the day you bought it). This means you lose any and all information that you do not have backed up. You do know you should be backing up all those photos right? So what should you do – as soon as the browser window shows you the fake warning screen – close the browser. If the page keeps coming back up every time you open the browser – that means your browser has been hijacked to use the fake warning page as the home page. You can change the home page setting in the browser settings to make it go away. If the page keeps coming back up and filling the entire screen so you cannot get to your desktop icons then you may have been infected with Ransom-ware. This is another form of extortion to get your money – immediately disconnect from the internet by pulling the plug to the network or turning off the WiFi or shut down the computer (hold the power button down until it goes off). Seek assistance from a legit Tech Support person. They will have seen this many times and can get you back up and running. Tele Computers Services has been in business since 1991 servicing the New York metropolitan area. With the advent of Internet Remote Access we can literally work on any computer anywhere and at any time. We build, service and support our own Tele Computers Workstations and Servers but can support any Computer, Tablet, Laptop or Server. 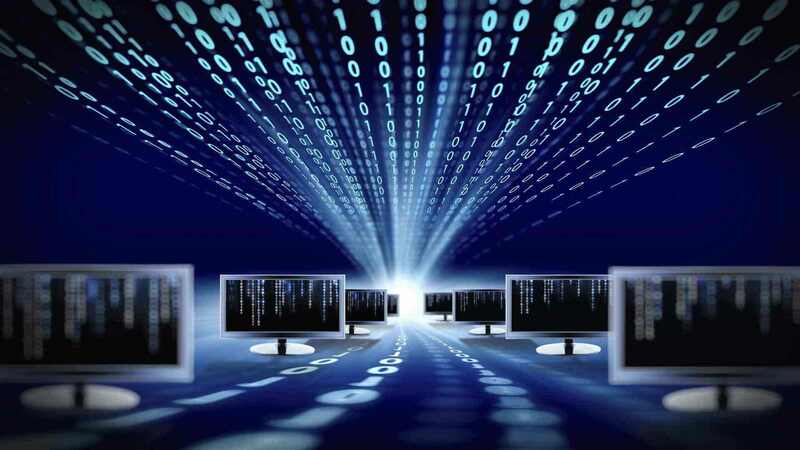 For our Network Clients we do most of our IT work on systems during late night hours or on weekends so we rarely interfere with your everyday business and staff.